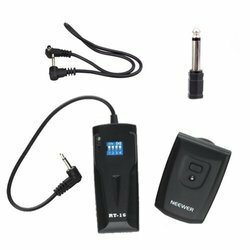 Pioneers in the industry, we offer wireless trigger box from India. The Wireless Trigger Box (WTB) system is designed to operate with any Seismic Recording system and remote trigger unit. The WTB system requires at least two complete units: one WTB transmits trigger signal to all remote units and remote WTB units are typically connected to the Seismic Recording system. Each WTB unit consists of a VHF radio with 3 selectable frequencies and Radio Trigger Module (RTM) for the trigger units synchronizing. The standard WTB unit has been designed to operate with the DAQlink II seismic acquisition units and a Hammer Switch. One Hammer Switch WTB can trigger multiple DAQlink units connected to remote WTB units.